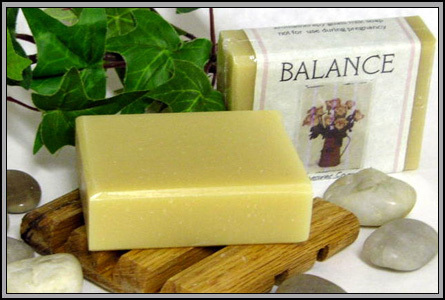 An aromatherapy goats milk soap, wonderful for dry skin. I call this my PMS soap, as just breathing in this scent helps calm my frazzled nerves! In addition to goats milk, it contains an oat milk slurry to further soothe dry skin.